Love doesn’t get much cuter than this. 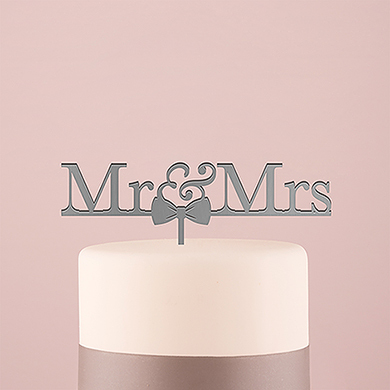 This acrylic cake topper features Mr & Mrs text with an adorable bow tie for the finishing touch. 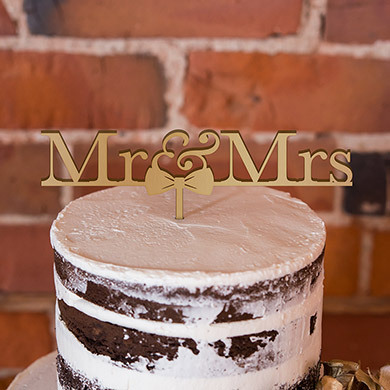 Completely food safe, simply insert into the top tier of your cake for a unique and sweet addition.